Just when all of your holiday stress is finally over, you check the calendar and realize that Valentine’s Day is less than a month away and your planning time frame is getting down to the wire. If you are planning an exciting date or an extravagant event, Rent Letters is here to help! We know it can still be difficult to think of a gift that is unique and original for your special someone, even if you have plenty of time. Our marquee letters are sure to make your event or date memorable, creative, and fun for your valentine. The greatest part about Rent Letters marquee letters? There are no limits as to what you can express using all of our giant lighted letters, numbers, and symbols. From initials to romantic phrases the options are truly endless with our marquee letters. 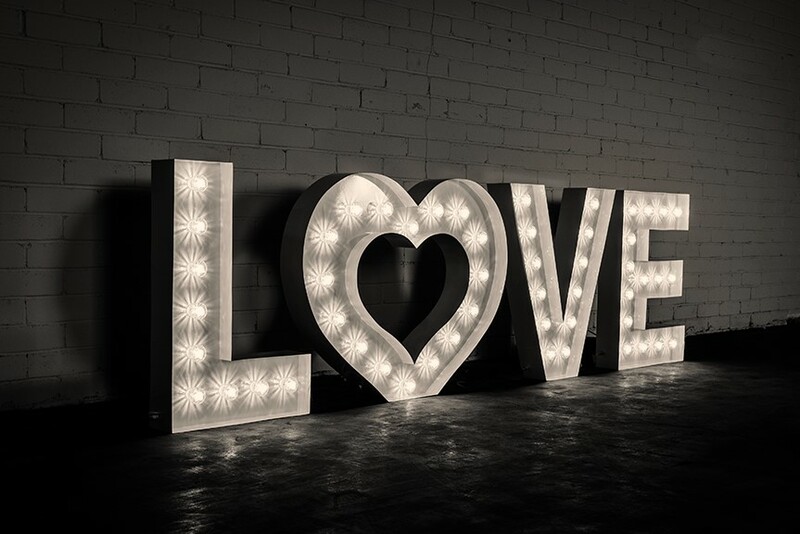 Common Valentine phrases such as “Be Mine” or “Love” can become an extraordinary sight when lighted by 3 foot tall marquee letters. Dare to be more unique? You can even spell out your loved one’s name or a special phrase that carries a special meaning for the both of you. These 3-foot letters are the highest quality construction with professional turbo-style LED lights. Our letters are one-of-a-kind and would be the best way to surprise your special valentine. How to order yours in time for Valentine’s Day? Now that you have the perfect Valentine’s Day surprise, don’t let time slip away from you! We also have giant 3 foot lighted hearts available to incorporate into your special Valentine’s Day order. Whatever message you want to send to your valentine, we can help you say it with love! You may reach our team at any time of the day by calling us at 1-800-450-1276. Or, if you prefer, you may also complete your order online via our website. To take a look at available inventory, please click HERE. We looking forward to working with you to create an incredible memory for both you and your Valentine!